The Boston Calling music festival will be occurring at the Harvard University Athletics Complex in Allston, Massachusetts. The festival will run from Friday, May 24 until Sunday, May 26. The festival runs from 2:30 p.m. to 11:00 p.m. on Friday and 12:00 p.m. to 11:00 p.m. Saturday and Sunday. For those who have never been to Boston Calling before or have never even heard of it, their website describes the event as, “A three-day, multi-stage festival featuring the biggest and best acts in music, comedy, and visual arts.” The festival is set up in a way so that multiple acts can perform at once with no sound bleed-over from other performances that happen concurrently. 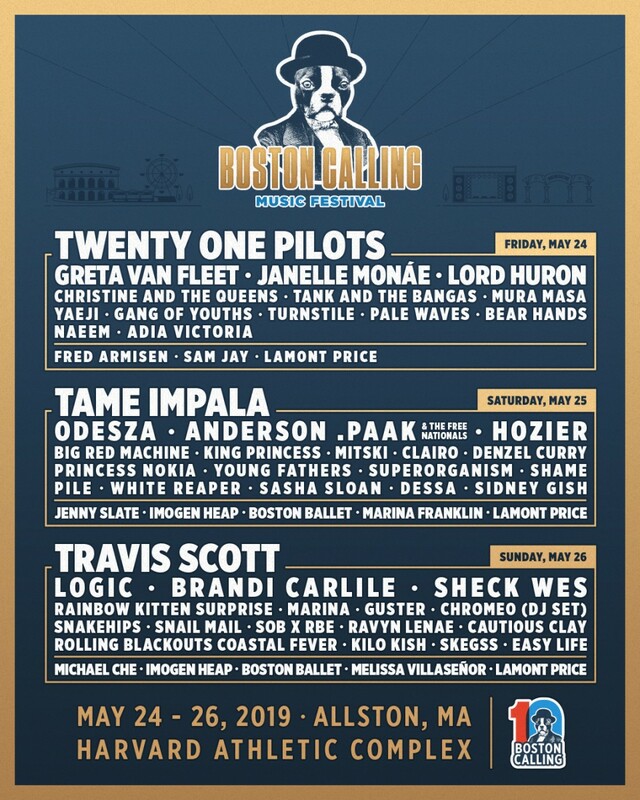 For those who have gone to Boston Calling before and are planning to do so again, this year’s festival offers a variety of new performers, an expansion of the Arena performances, which includes things like comedy acts and acoustics, and different food lineups. According to one of Boston Calling’s producers, Brian Appel, a lot of things are laid out like previous years, but there are always new attractions to check out. The Boston Calling this year will feature an array of performers from all different backgrounds of artistry. For music, bands and musicians such as Twenty One Pilots, Hozier, Tame Impala and Travis Scott will be there. Comedians Fred Armisen of “Portlandia” fame and Jenny Slate, who portrayed Mona-Lisa Saperstein on “Parks and Recreation” are also slated to appear. A newcomer to this year’s festivities is the renowned Boston Ballet. To get the full Boston Calling experience, Appel suggests people come for as much of the day as possible and not just for the acts one wants to see. Part of the fun and experience, he says, is getting to see all sorts of performers one would not usually see or listen to, and hopefully discovering a few new performers that they enjoy. Other than the artistic performances, Appel also promoted other attractions and aspects of the festival, such as the food and beer lineups and the Ferris Wheel. According to Appel, the attendee’s experience is the festival’s top priority. There are three types of tickets currently on sale at Boston Calling’s website, which are general admission, VIP and Platinum. As the date of the festival gets closer, the ticket prices will increase.